By simply lifting the arm ends, the backrest angle can be effortlessly adjusted ensuring you can always find the perfect seating position. The luxuriously padded back and seat cushions ensure you never want to leave and the padded arm rests each feature a handy storage pocket to keep any important items close to hand. 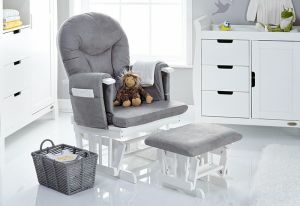 The beautifully constructed wooden frame and curved back show off the traditional design with the soft grey tones of the cushions ensuring the chair and stool will coordinate perfectly in any nursery. 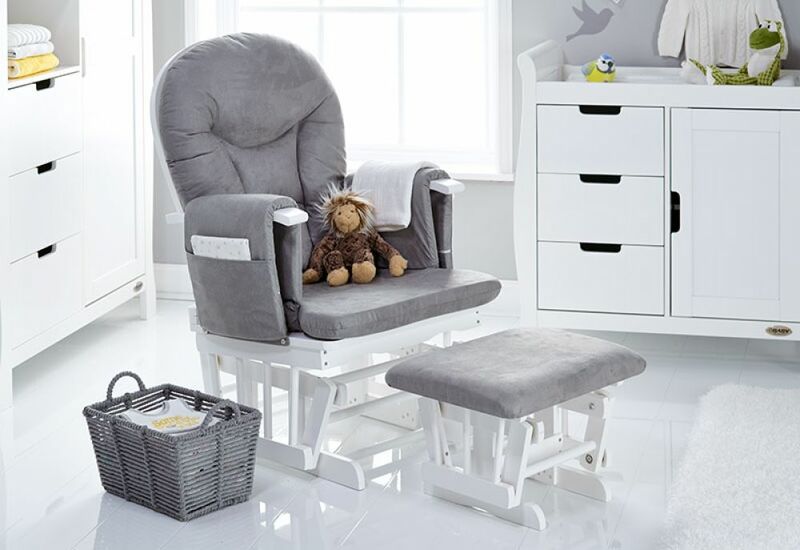 If you're looking for the idyllic place for you and your little one to share some precious moments, the Obaby glider chair and stool are exactly what you need.